Here’s a photo from 2004, of a building which was at that time part of Borders bookshop and is now Banyan, a bar and restaurant. Before that it housed a printing company. Before all that it was a chapel, the Ebenezer Chapel, built in 1851. The architect was J P Pritchett, who was also the architect of the handsome chapel at York Cemetery. There are of course former chapels all over York. When I started my ‘York Walks’ in 2004 these former ‘Nonconformist’ chapels (usually Methodist) were one of my first areas of interest. I looked for the remaining examples in the city centre and surrounding suburbs, and put online some of my photos, which in retrospect look hopelessly wonky and also rather small. As Groves Chapel is in the news, it seems a good time to revisit the subject, and include larger versions of some of those images (straightened a bit where possible). 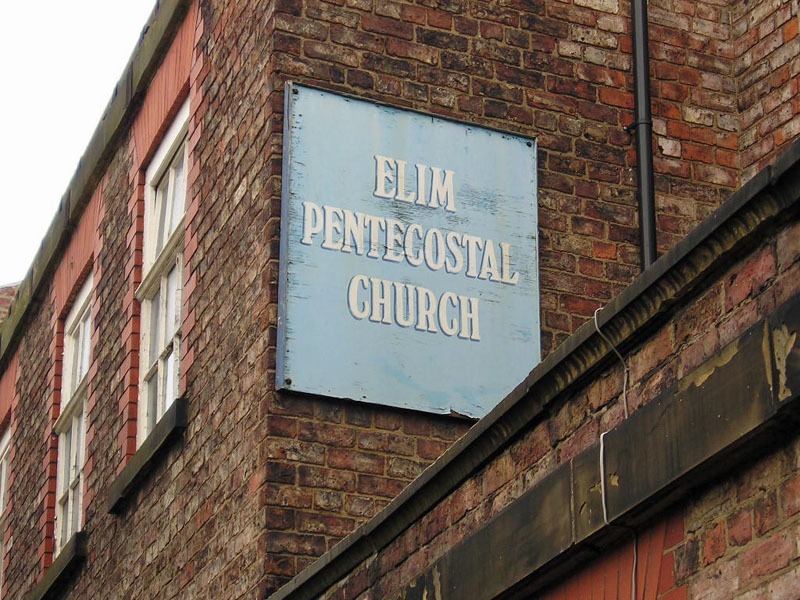 The building had been used by the Elim Pentecostal Church for decades (since the mid-1930s, my research suggests). 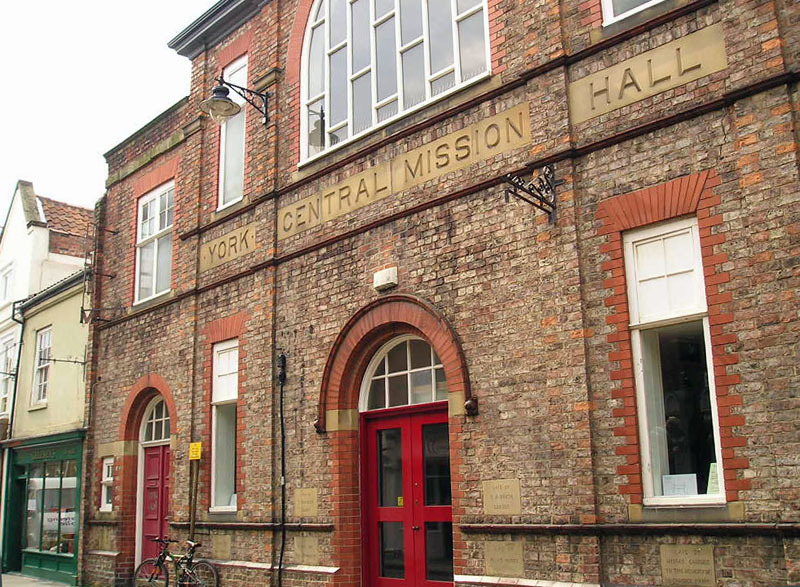 But it was built, as its front still proudly states, as the YORK CENTRAL MISSION HALL. Now it’s a bar and restaurant called Biltmore. And a sign in one of its windows, with a window frame apparently unpainted for decades. Illustrating the fact that these large old buildings can be difficult and costly to maintain. Too much expense perhaps for any church in the 21st century. I remember walking by one morning in the intervening years when it was being turned into its new ‘A3 (food and drink)’ class of use. Against the morning light shining through a window, through the open door I caught a glimpse of a gallery and some wooden seating, through the dust. It seemed quite sad really. But inevitable. 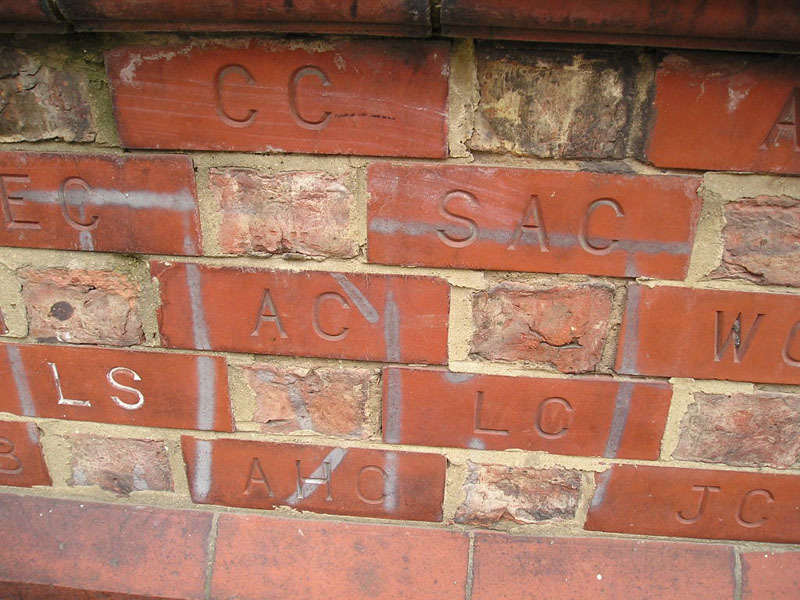 Again, the reminders of those who built up their place of worship and education, brick by brick, still to be seen outside. 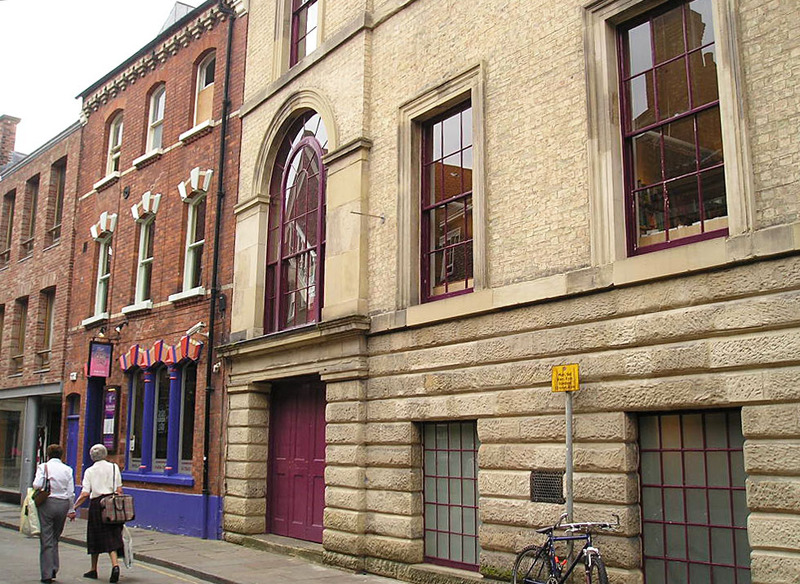 The former Monk Bar Chapel, on Goodramgate, recognisable from its elegant windows at first floor level, but with modern shop units driven through below. 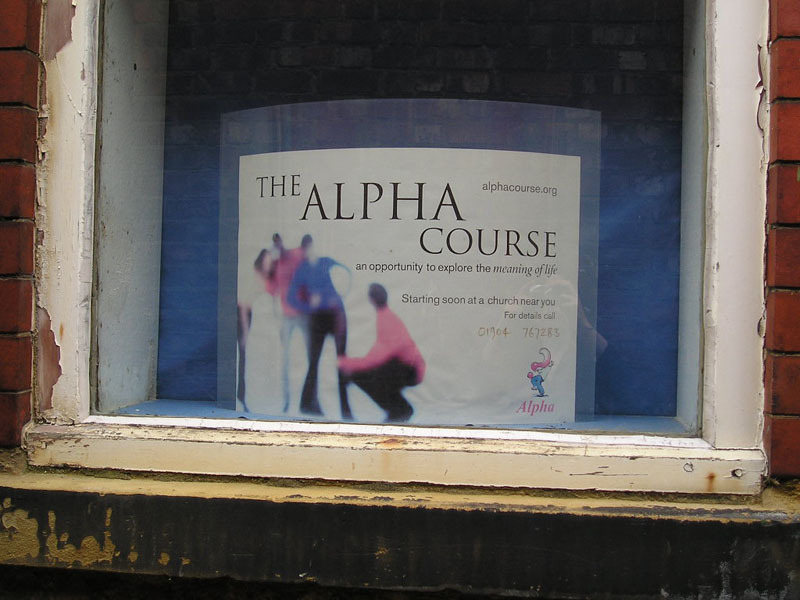 And in them, an illustration of our world in 2004: a tanning studio, a betting shop, and Blue Moon Trading, selling guns and military-related memorabilia. What would those Methodists have thought, I wonder. Once these old chapels fell out of use, we either demolished them, as with Salem Chapel at the end of St Saviourgate, or reused them to serve us still in an ever-changing world. As printers’ workshops, carpet warehouses, storage space, or a fire station, or shops. In recent years, bars and restaurants. I wonder what those who used them for their original purpose would think, if they could see the various ways we’ve remodeled their buildings. 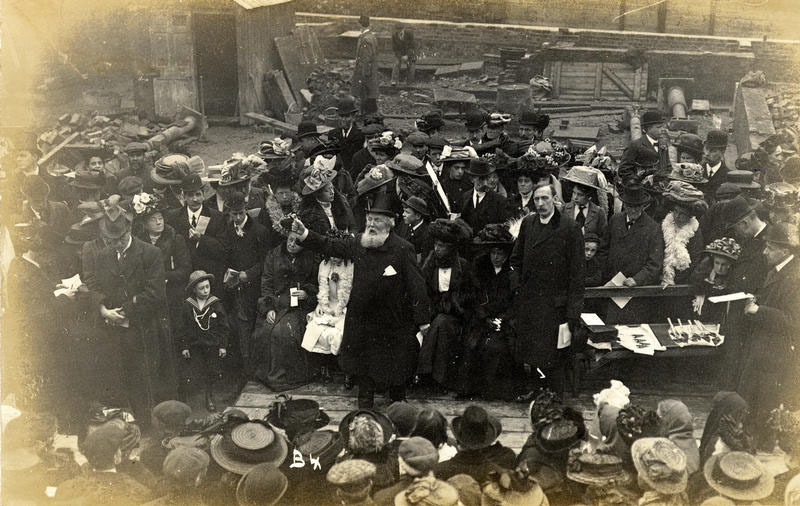 A reminder of how important these buildings were to the people who raised them up comes from this old photograph in the city archives. 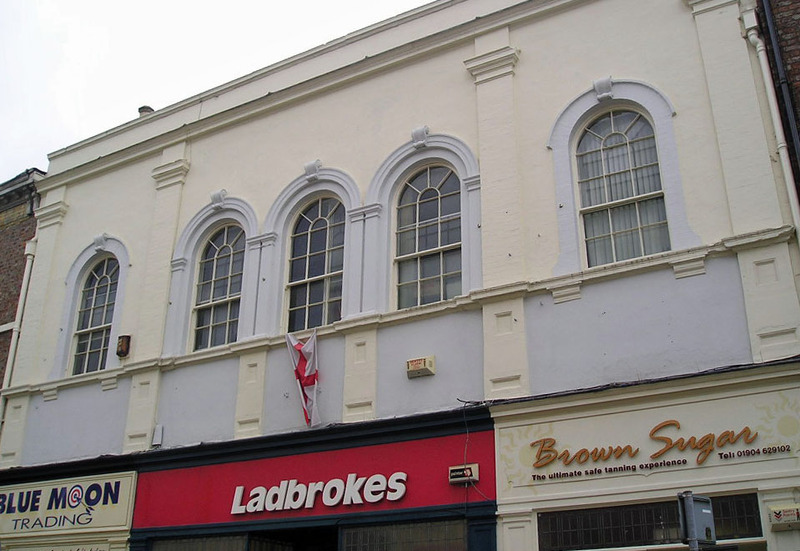 Many people objecting to the proposals for the reuse of Groves Chapel feel understandably upset at the thought that a former place of worship might have a shop on its ground floor. Most of us have never seen inside the Groves Chapel to know what remains of its original interior and how much might be destroyed by this proposed redevelopment of the building. But there’s clearly a long tradition of reusing these old chapels in various ways. At least Groves Chapel has the protection of being a listed building, so won’t be demolished, as several other chapels were. To finish the page I’d like to mention a handsome survivor. 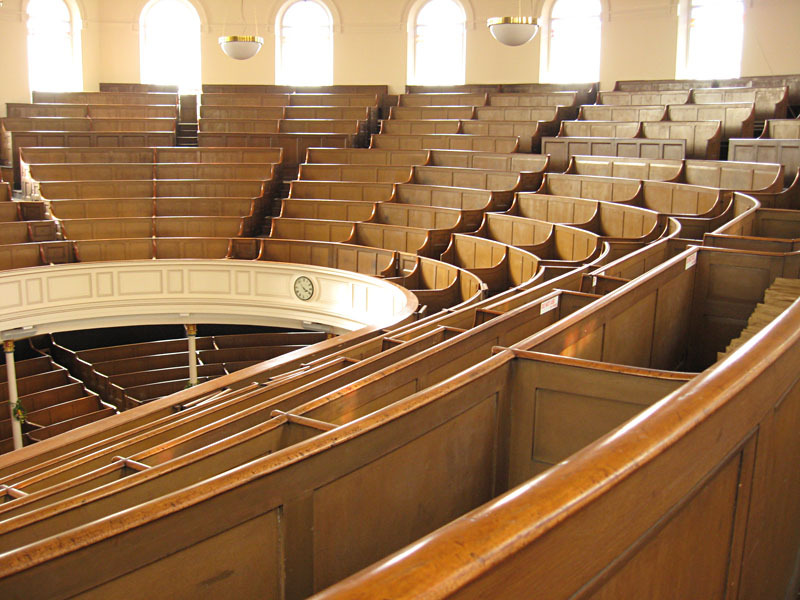 A beautiful example of one of these old chapels, still with its handsome gallery, its warm brown worn wooden pews, it’s right under our noses in the city centre, looking out in knowledge of its superior handsomeness over the concrete of Stonebow House. The Central Methodist church is often open for Heritage Open Days and the Residents First weekends for those of us who don’t want to attend a service but would like to see the building. If you get a chance, pay a visit, and if you’re lucky you’ll also experience the sound of organ music filling this fine old place, as I did. Unlike the Groves Chapel, closed for decades, this place remains in use, and good work goes on in the rooms behind it, at Carecent. This page was enabled by my lovely supporting subscribers. 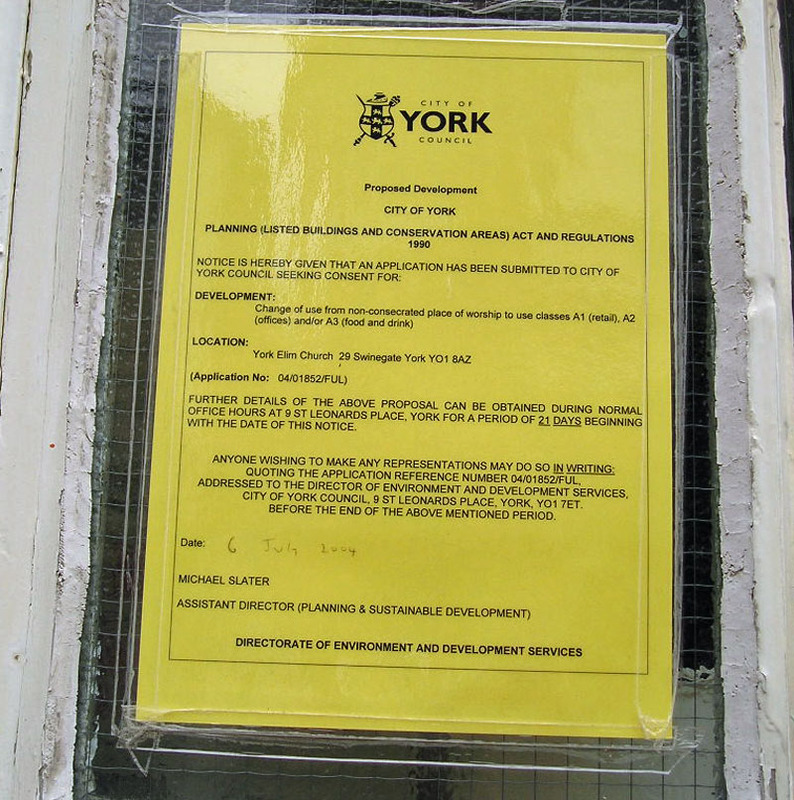 If you’d like to join them in supporting this ‘residents’ record of York and its changes’, there’s more info here. Hello. Thanks for your kind words about Central Methodist Church. I’m a long time reader of your site, but also a member at Central. You might be interested to know that we have some plans to increase the public profile of the building a little, and get the chapel and ancillary rooms into a bit more use. Hopefully this will put off (for a few years) having to sell off the building and have it end up like the others you’ve listed. Wish us luck and watch this space! Do keep us posted on any plans and I’ll be happy to help spread the word. Though I hadn’t been into the main chapel until an open day last year, I have fond memories of visiting the rooms behind it, where Carecent is based, many times back in the 1980s when a youth club project was also based there. I can imagine that the large historic chapel is expensive to maintain, and I hope you get all the help you need to keep this important city centre base, both the chapel and the ancillary buildings behind it, for many years to come.